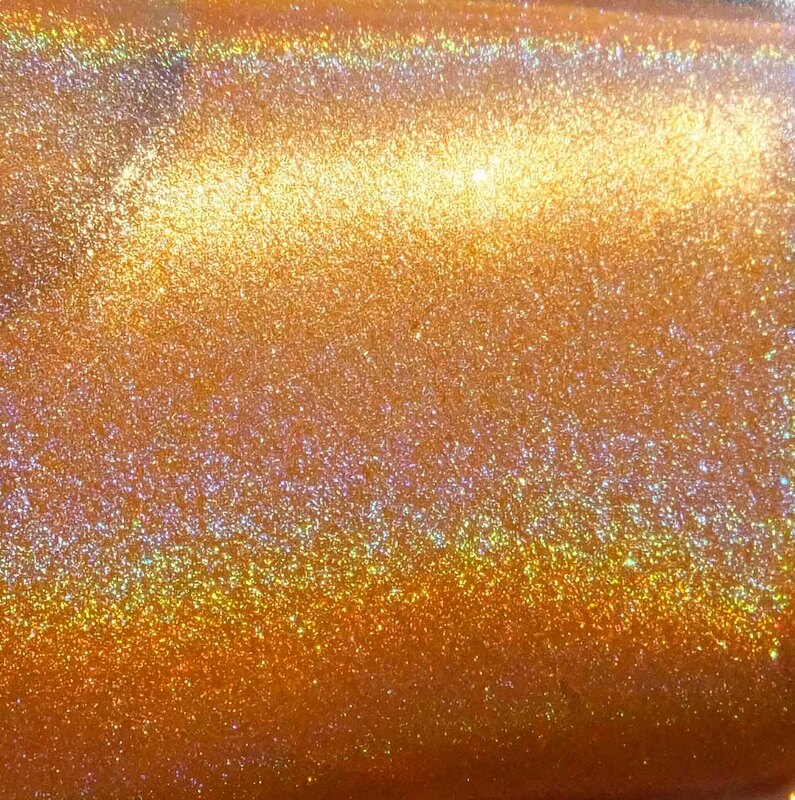 Lacquer Lust Topaz is one of my first polishes that I’ve purchased from Lacquer Lust. 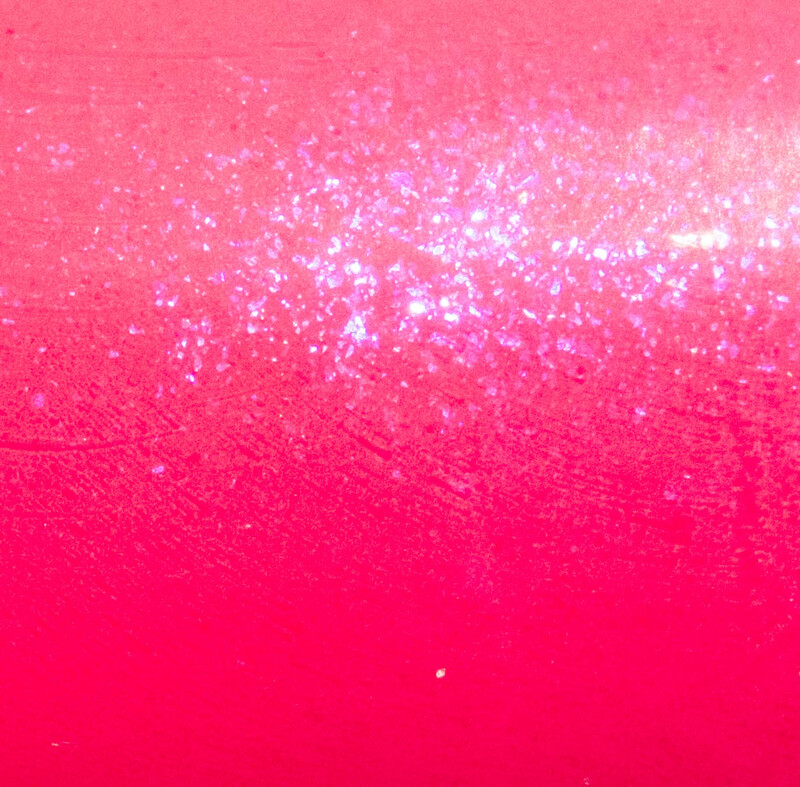 Lacquer Lust is a brand that I’ve been meaning to purchase from, but always had issues with (like Enchanted Polish) in purchasing – people clamoring for the polishes so badly that the site would lag, things would get bought…In short, I just didn’t want to deal with the headaches. 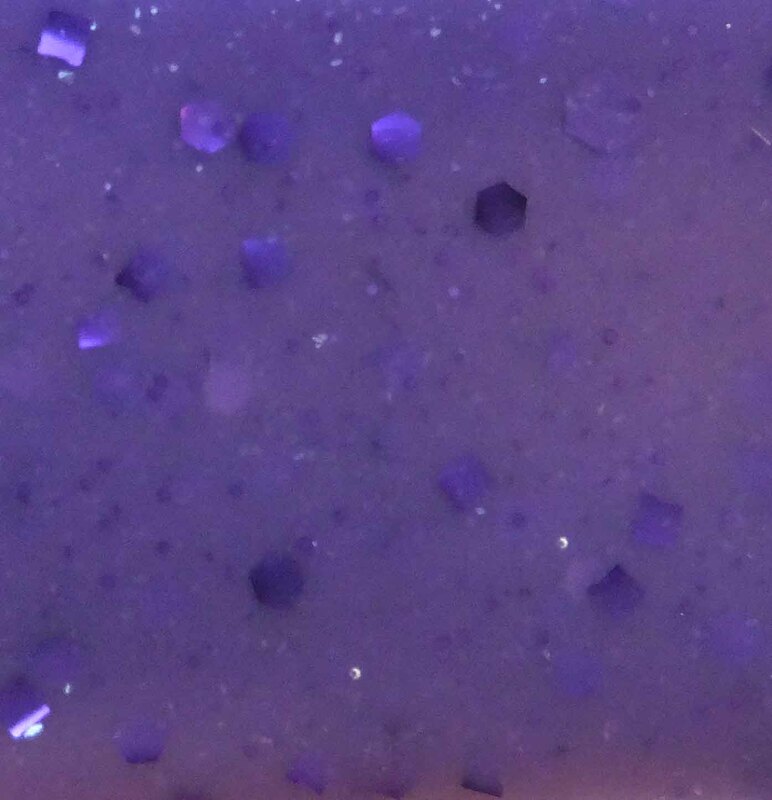 I was able to score a handful from the last launch and so far, I was pleasantly surprised at the (somewhat) easy access to purchase the polish. While I wasn’t able to get the colors I wanted, I grabbed what I could. 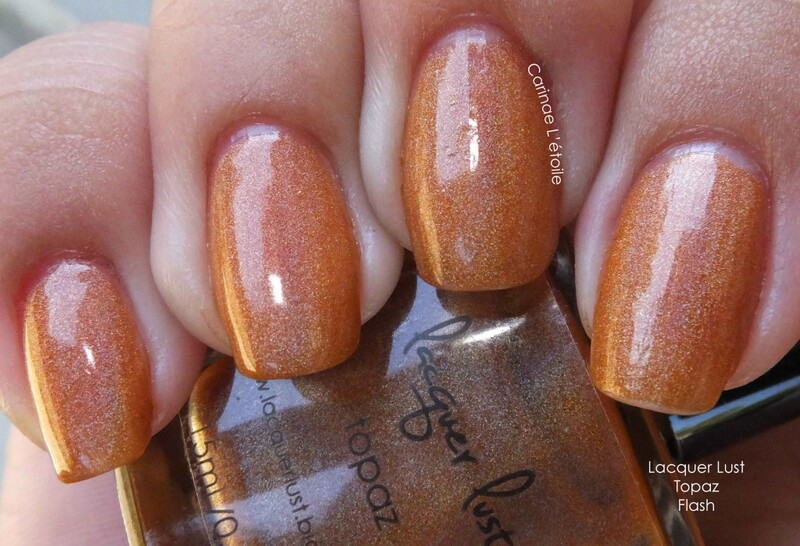 Lacquer Lust Topaz is a burnt orange with a strong linear holo. 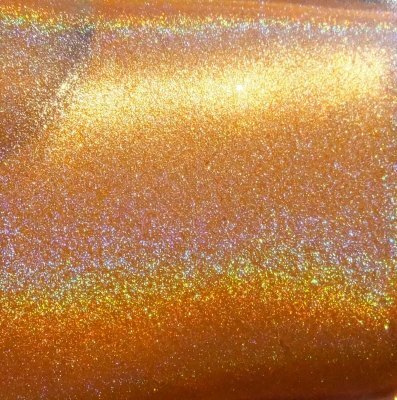 These days, what people call a “strong linear holo” isn’t really what I would deem a strong holo like, say…China Glaze’s L8R G8R. That is a strong linear holo. 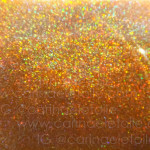 This is isn’t super strong, but it’s stronger than some other holos that I’ve purchased from other Indie makers. 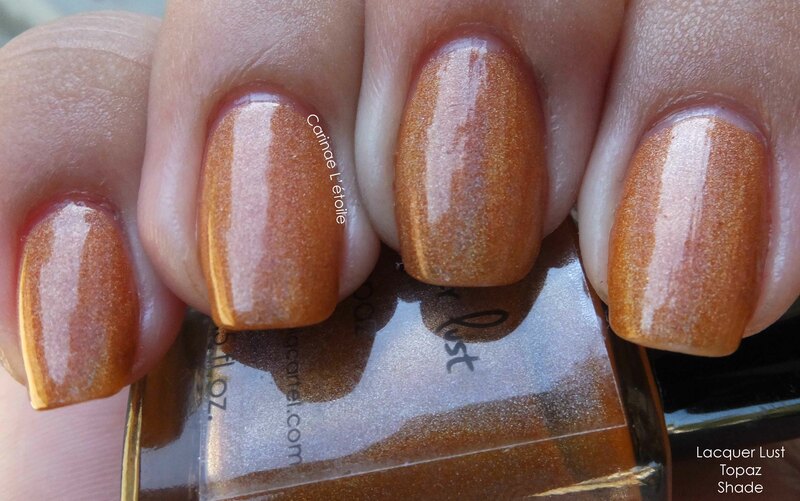 The formula on this was pretty good – opaque in two thin-medium coats and was also fast drying. What more can a polish gal ask for? 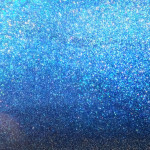 However, that said, I do think Lacquer Lust makes some truly beautiful polishes and I’ll be keeping an eye out for future collections! 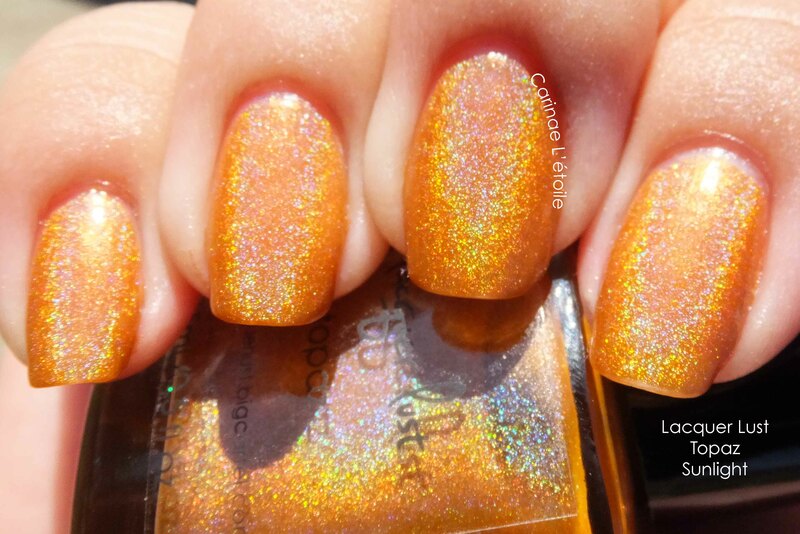 I’m not familiar with Lacquer Lust, but the Sunlight especially is calling my name! 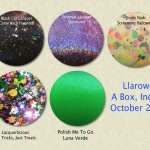 I have yet to swatch the rest of the ones I’ve purchased…and they are GORGEOUS! Especially Pink Tourmaline. *faints* I’m not a fan of pink, but this one really makes me happy.